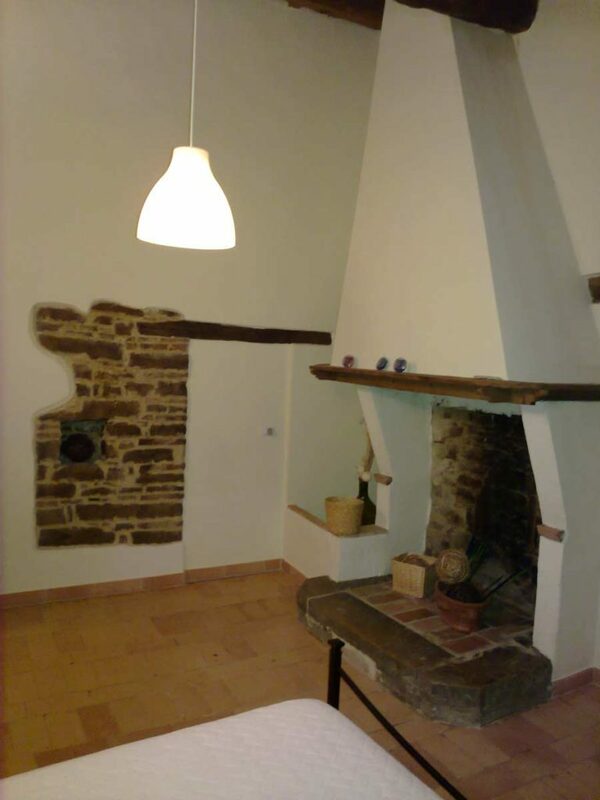 This evocative farmhouse in Serra San Quirico – completely immersed in the countryside upon high hills – has the particular feature of being composed of several buildings made in stone, so that they look like a small borgo, a hilly village. 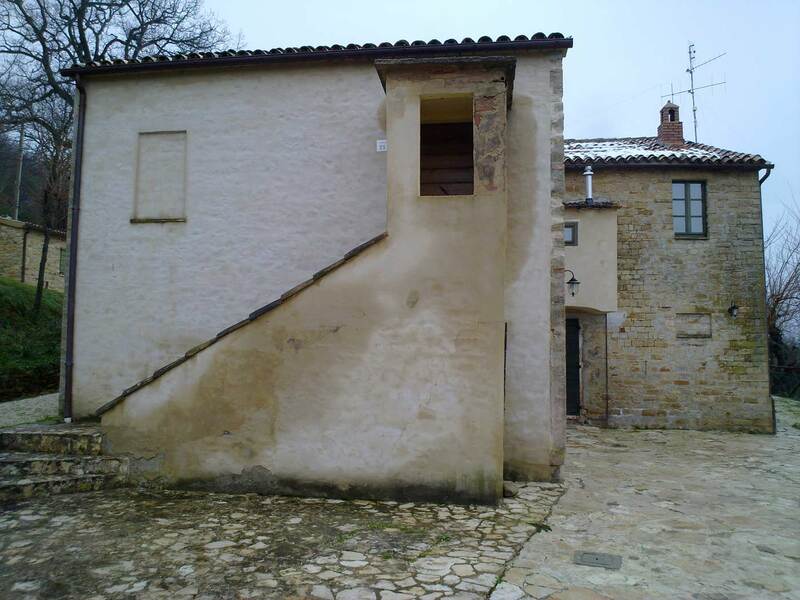 In addition to the main house, the property is composed of other buildings and outbuildings. 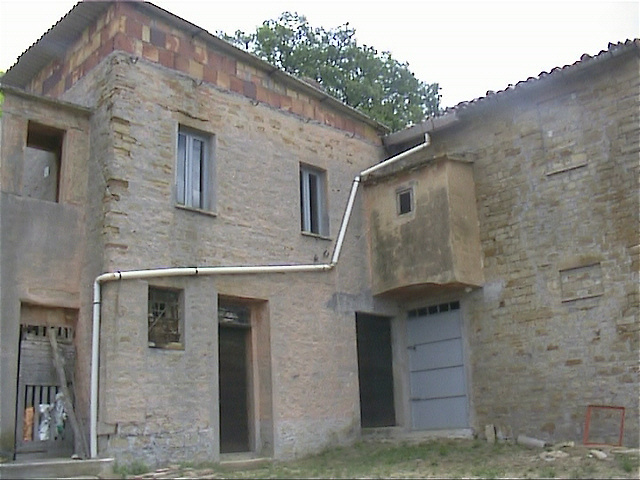 The main farmhouse covers a surface of 300 square meters and, during the renovation, the original shape of the facades of the house has been completely kept. 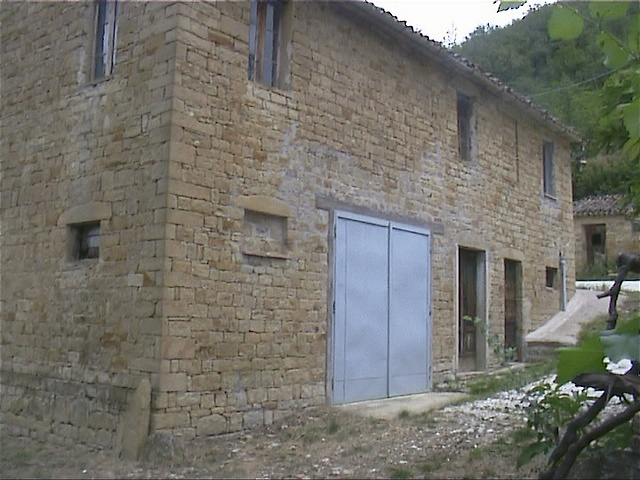 The outbuilding has been rebuilt, always in stone, due to the bad conditions of the structure. 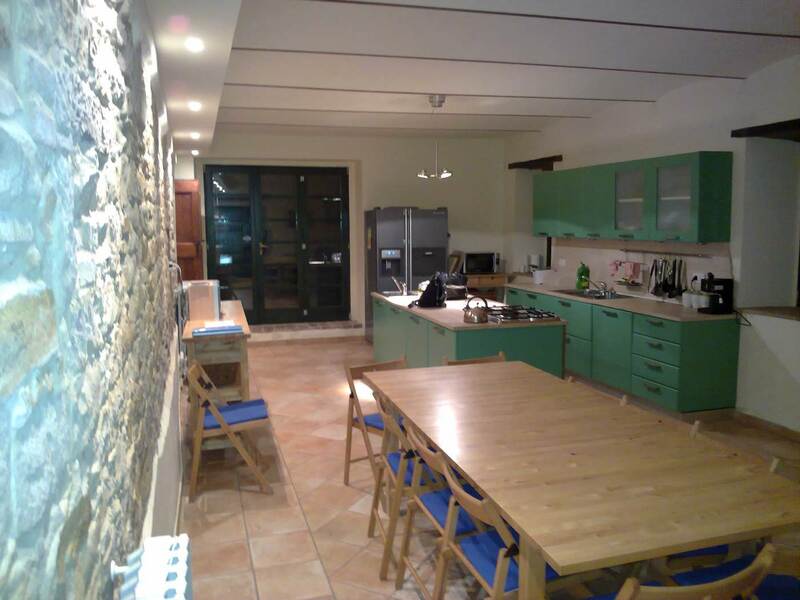 In relation to the distribution of spaces: on the ground floor there is now a kitchen, that used be originally on the first floor, and equipped with a large and new fireplace; a living room, the dining and TV room and another living room. On the first floor there are three bathrooms and six bedrooms, one of which in place of the original kitchen where the existing fireplace was kept. 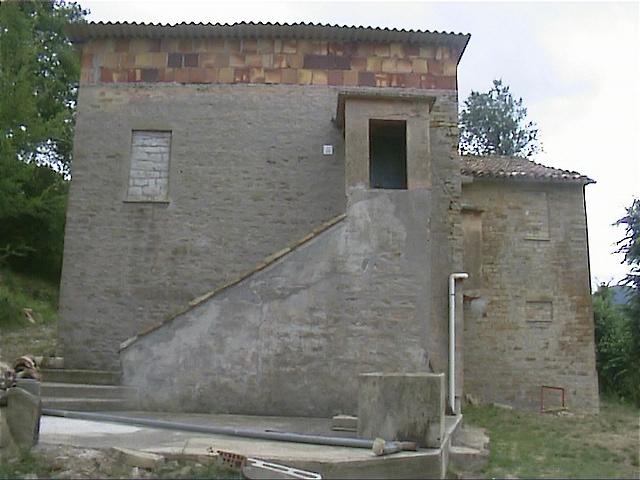 The outbuildings are also used as housing units, to accommodate family and friends; the wood deposit and the oven have remained unaltered. 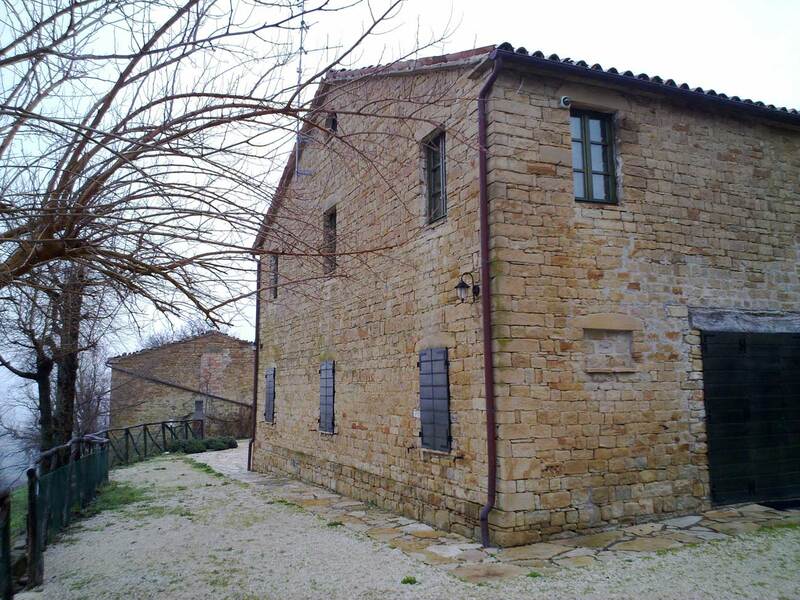 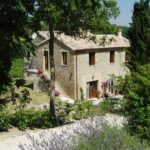 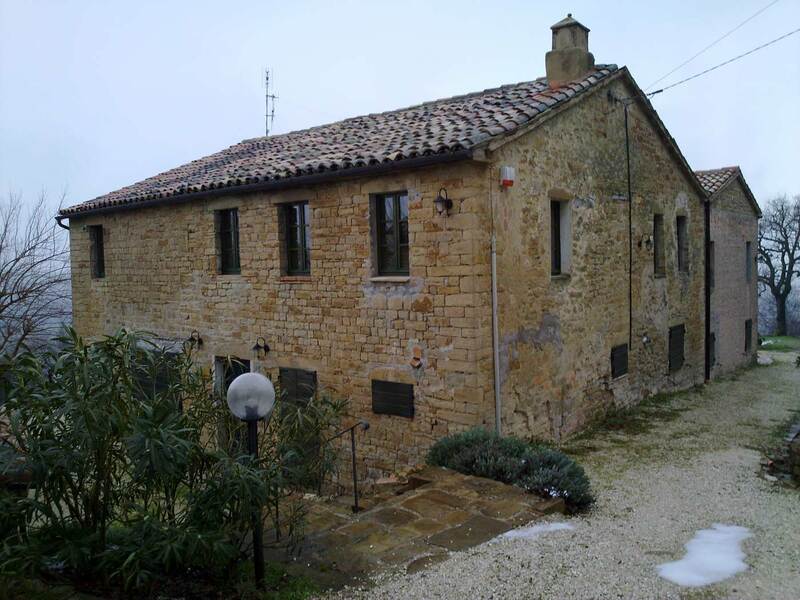 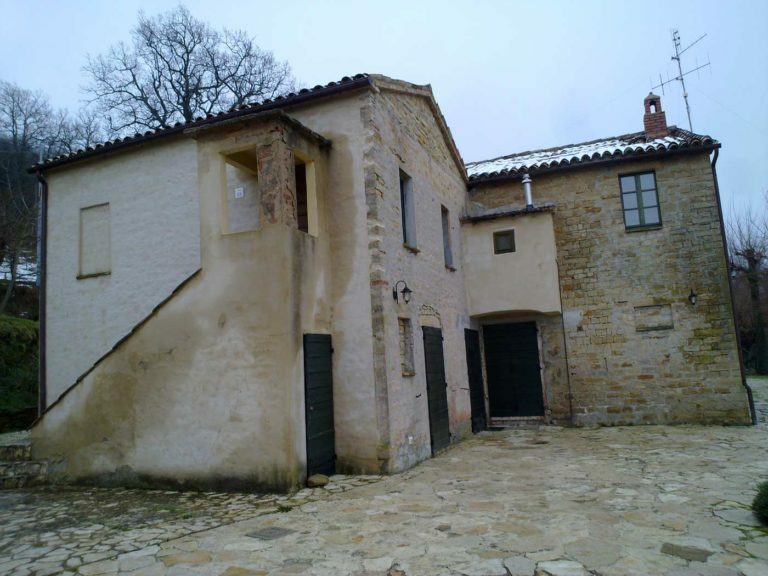 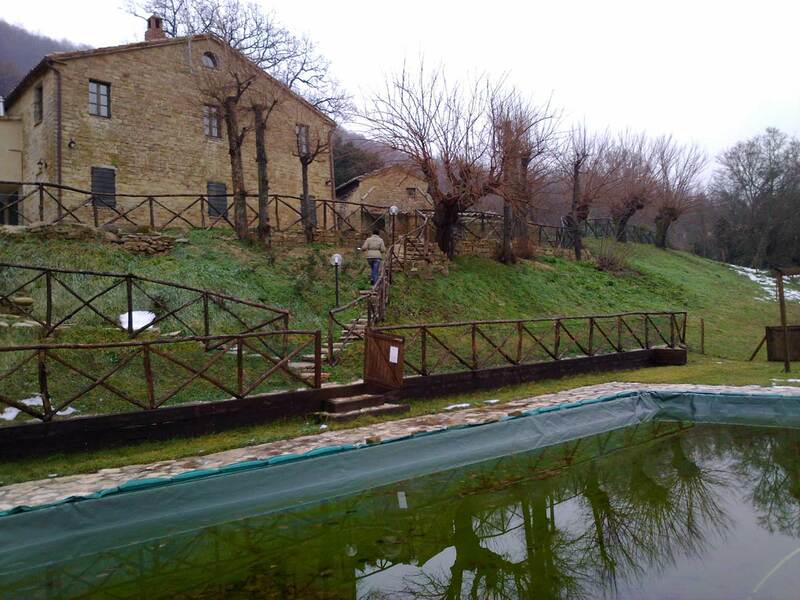 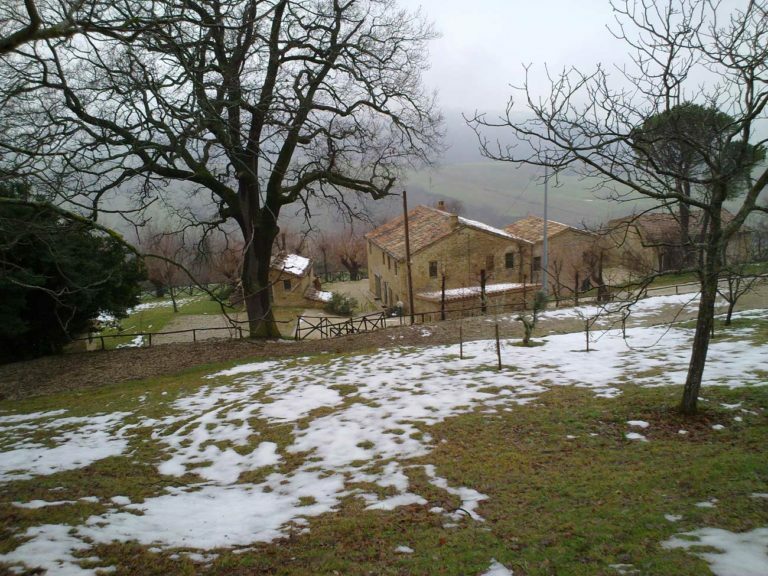 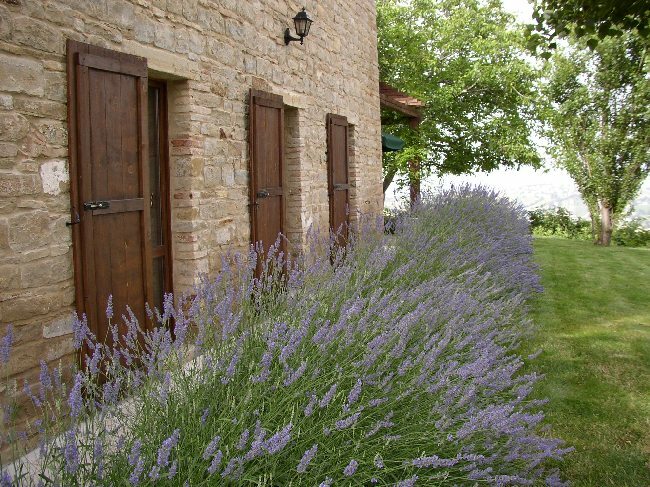 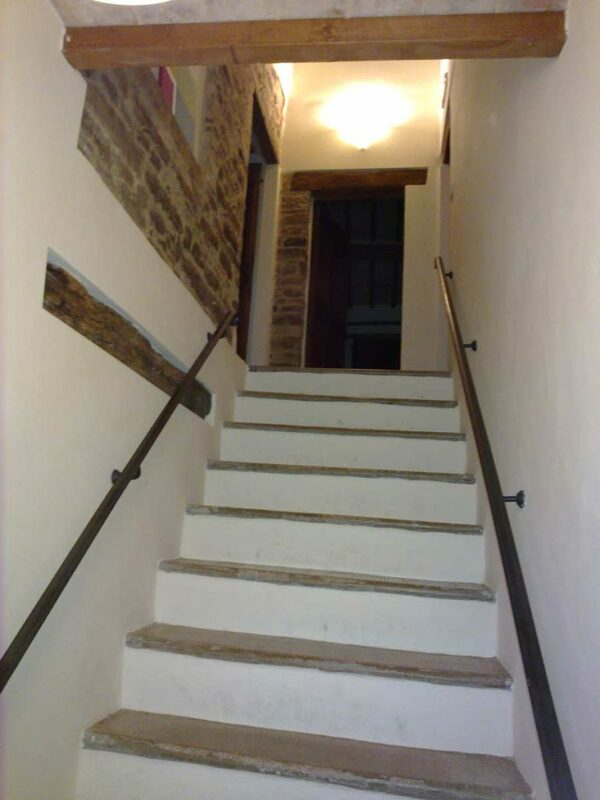 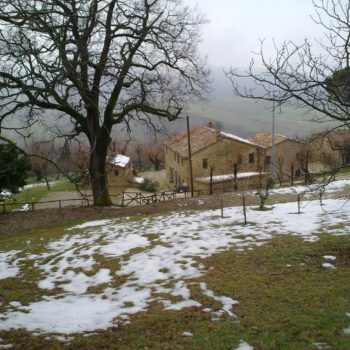 The surrounding area of the farmhouse in Serra San Quirico includes a small square with the well, parking place, swimming pool and at a lower level a large area partly cultivated, partly with woods and partly occupied by a fruit orchard. The pool in particular has a very original position; it is in fact about 3 meters lower than the house, because of the steep plot of land. 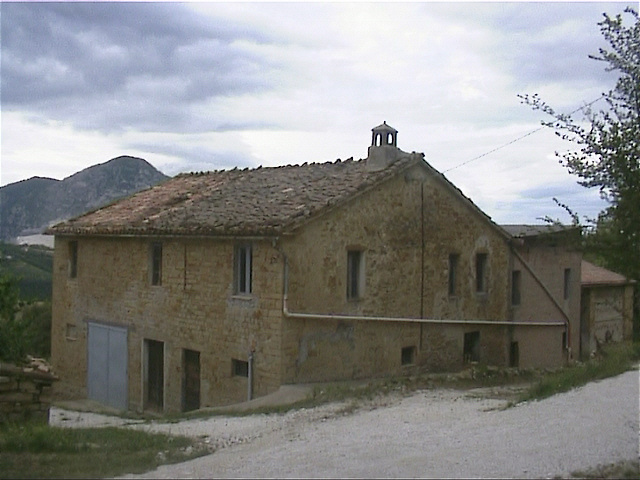 All the trees that surround the building are very useful for maintaining the embankment, so it was not possible to build nearby. 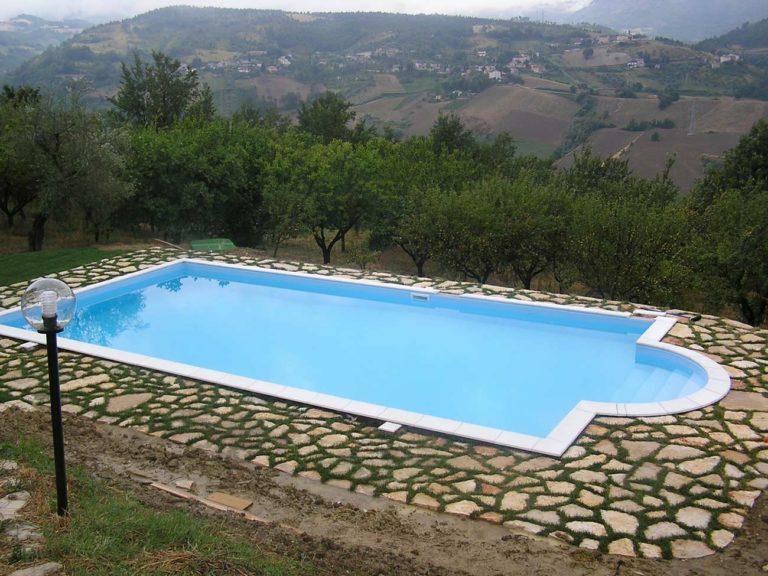 Despite its lower position, from the pool you can still enjoy a beautiful view over the gentle and lush hills of Serra San Quirico.